Wherever you live in South Africa, learn safe and successful Forex trading with me. 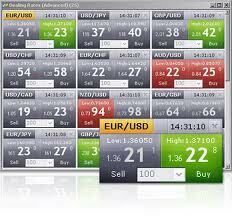 I teach the world's simplest and safest way for beginners to learn Forex and make their living trading Forex online. My Forex training course is easy to follow with meaningful, real DAILY CONTACT and is now well into it's fifth successful year. With regular updates and upgrades, this course is not about technical jargon and there's no forex mumbo-jumbo. It's a step-by-step journey into making money from home, simply and safely In fact, I am so confident you will enjoy and appreciate my course to the full that I offer a 100% money-back guarantee.